BAT - BLOG : BATMAN TOYS and COLLECTIBLES: POW! #BATMAN Socks Found at CVS Stores! POW! 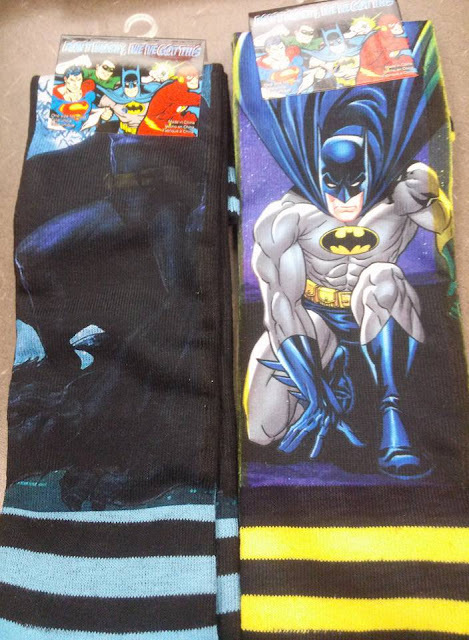 #BATMAN Socks Found at CVS Stores! Hey, here's just a quick post to share the news that CVS Drug Stores have BATMAN SOCKS for sale! Our friend Erik spotted these 2 pair the other night and they look kinda cool. He said they cost around $5 each, not bad. I might have to get me some, ha!